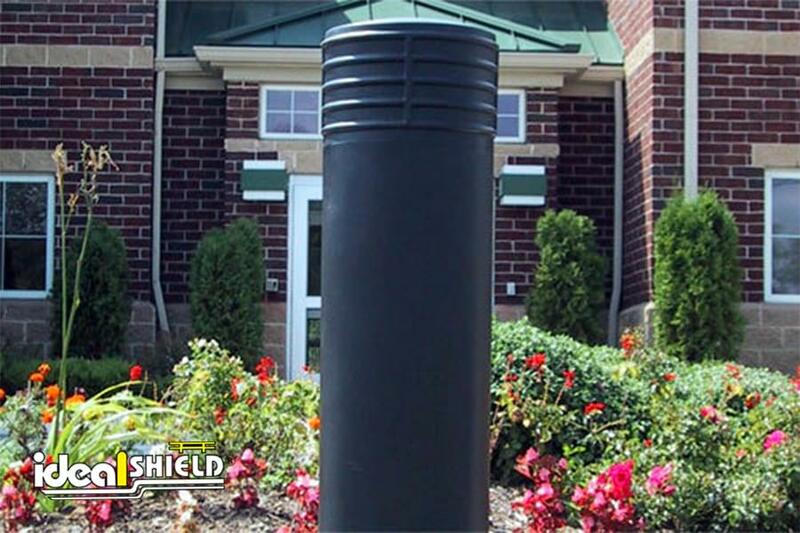 The Cinco Decorative Bollard fit over 10” pipe and steel inserts are available to fit smaller pipe sizes. 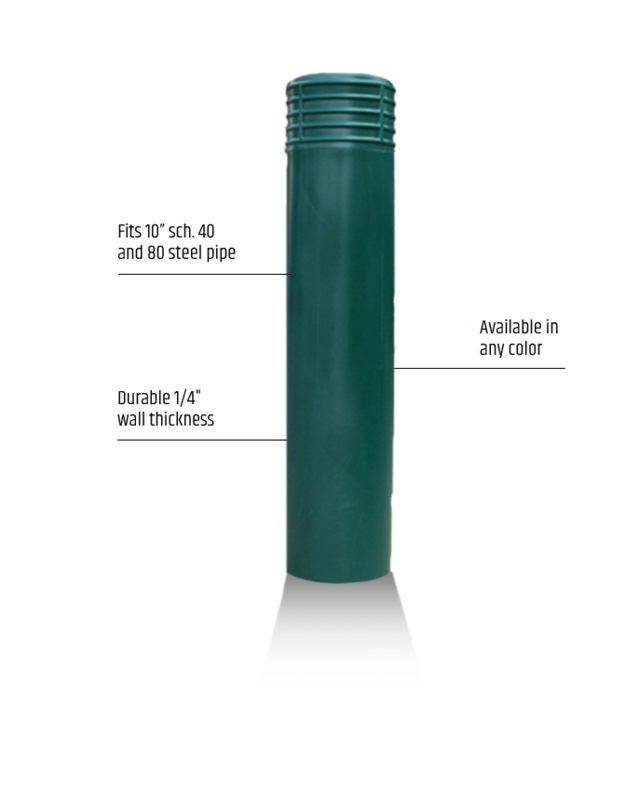 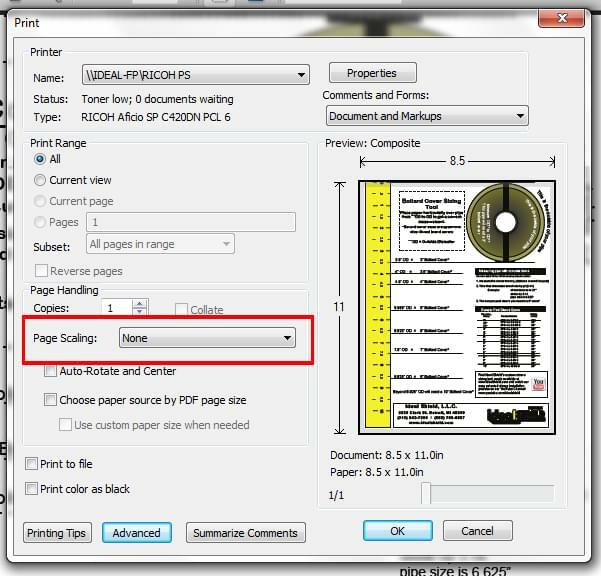 Topped with stylish five-rings and made of 1/4″ nominal wall thickness polyethylene thermoplastic (LDPE), our product stands at a total height of 52”. 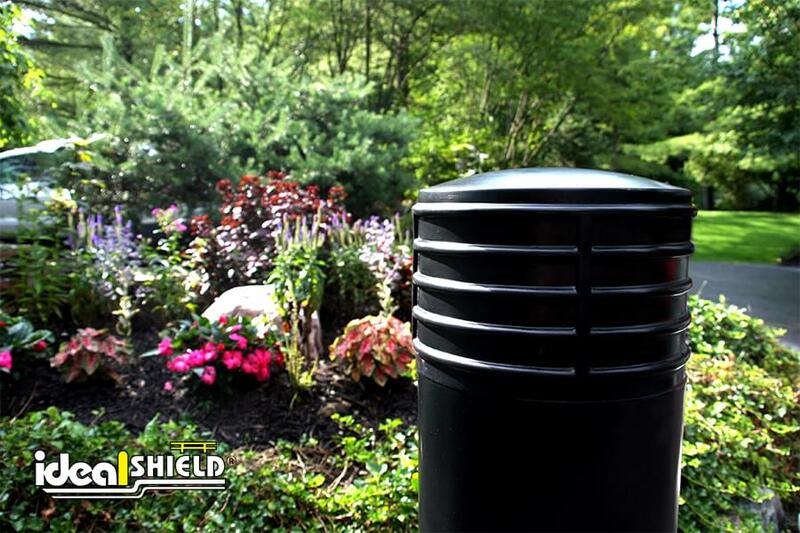 Our product can be cut to custom heights at no additional cost and our patented installation tape is also included, ensuring an easy and permanent fitting. 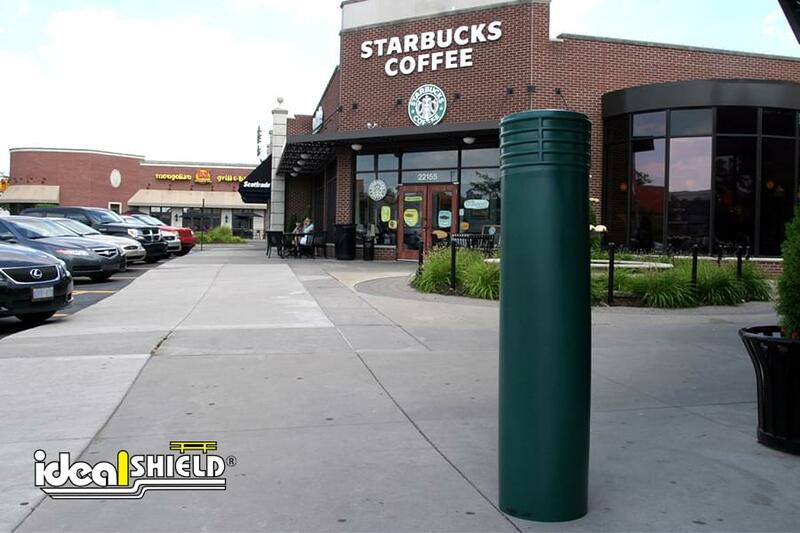 Available in any color and in both 10″ and 6″ sizes, Cinco Decorative Bollard Covers are designed to match any building exterior or corporate branding requirements. 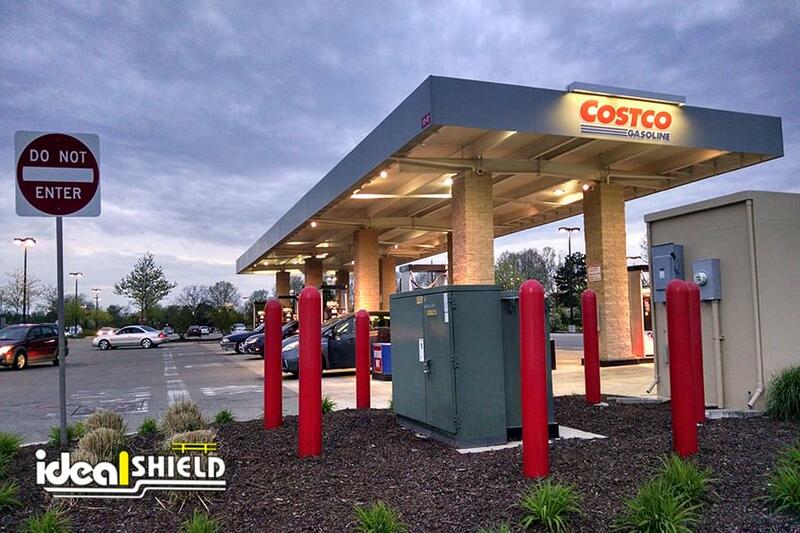 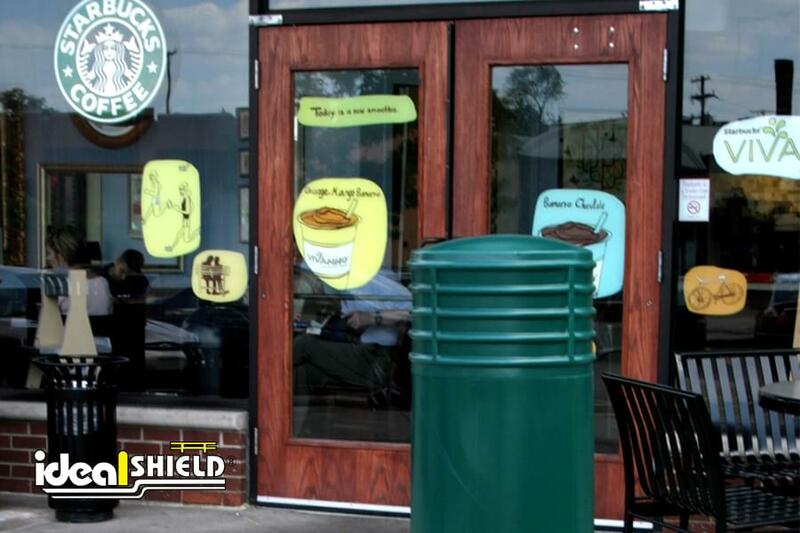 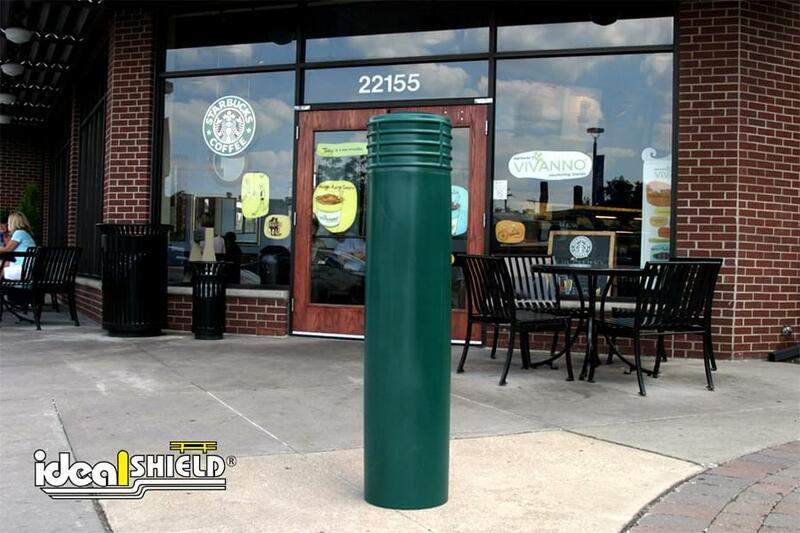 Check out our full line of Decorative Bollard Covers for more options to add some style to your storefront.